Would you like to go somewhere where time slows down? There is a place in Tennessee just west of the historical Natchez Trace that is unspoiled by the hustle and bustle of city life and hectic schedules. It calls to you to come experience trails, adventures and camps just outside a town called Hohenwald, Tennessee. ​Calico Junction Ranch has over 100 miles of trails, with new trails being put in every year on 2500 acres. Take a trail ride through the trees and meadows and see the ponds,springs and even waterfalls. Come join us and relax on horseback for a wonderful trail ride. Try our dinner rides as well. How about a place where time speeds up? 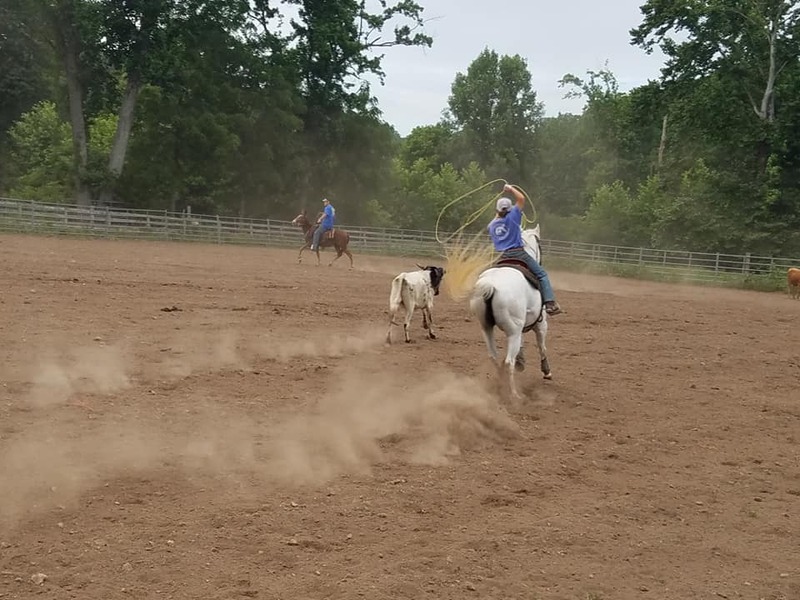 Join us for our Steer Roping events help right here at the ranch in our newly lit arena. Register as a competitor or come to watch the fun. How about a place you can entertain a crowd? Are you considering an outdoor wedding? How about a company or church event? Birthday party? Here at Calico Junction Ranch we can handle a variety of outdoor events that caters to a wide range of guests.